GN desander, desilter have standard frame for hydrocyclones. This made our design, production high efficiently. For desander, we have standard GN1S with treating capacity 500gpm, GN2S with treating capacity 1000gpm, GN3S with treating capacity 1500gpm. For desilter, we have standard GN8N with treating capacity 500gpm, GN12N with capacity 1000gpm, GN16N with capacity 1500gpm. If you required large quantity, we can make other hydrocyclone qty according to your required treating capacity. Desander, desilter has no underflow shaker. 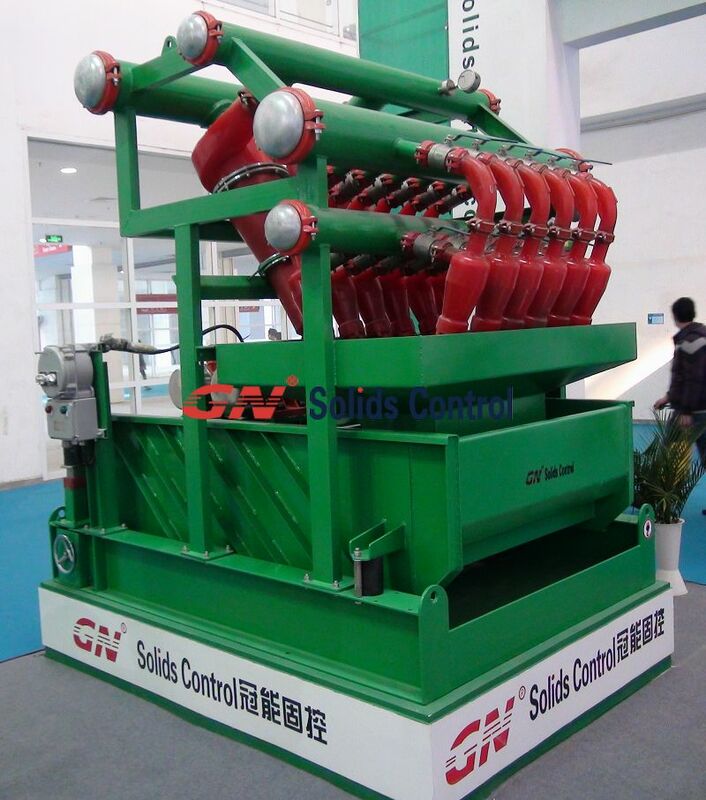 1 With larger shale shaker, can process mud better and recovery more drilling mud to save drilling cost. 2 Save space, you only need to place one machine which can do the job for 3 machines together. But mud conditioner also have disadvantages, e. g. higher cost, need to replace shaker screens regularly, higher power consume,etc. GN provide desander, desilter, mud conditioner(mud cleaner) for oil rigs, pls contact us for more info.